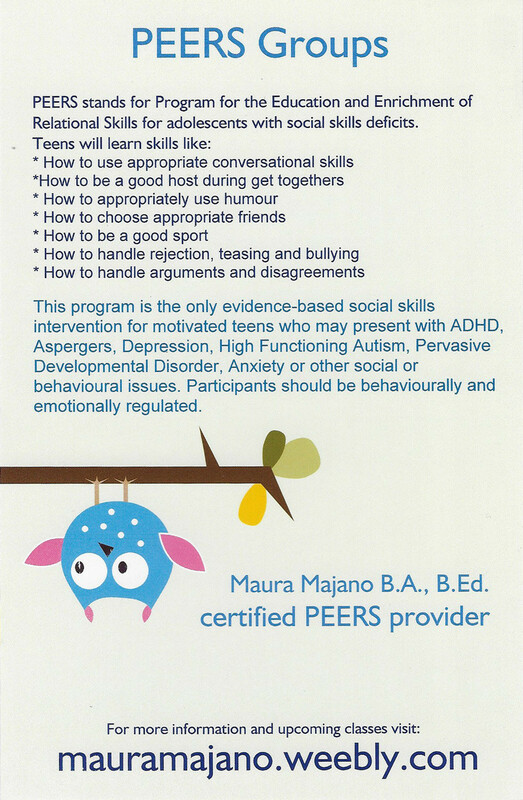 PEERS is a 16 week social program for teens aged 12-16. Participants must be willing to practice and want to improve their social skills. Topics covered include entering conversations, appropriate use of humour, hosting get togethers, bullying and good sportsmanship as well as much more. Parent debrief at end of every class to help support students. Homework will be assigned to help students practice newly acquired skills. Cost is $1200, $100 refundable deposit to reserve your spot. Please contact for more info. This entry was posted on September 22, 2017 by Events Manager.